My Brother's Keeper, MBK, is a community based outreach of Ebenezer Medical Outreach, Inc. aimed at providing education for men of color regarding the importance of prostate cancer, a leading cause of cancer deaths. The program is made up of community advisors and natural helpers. This program builds on the strengths that are already in the community. My Brother's Keeper emphasizes the helping role that certain people naturally play within their own social networks. Our goal is to identify and work in our community. The more men we have involved the more men we will reach. The primary goal of this program is to eliminate deaths due to this cancer. When detected early enough prostate cancer can be cured. The role of the Community Advisory Board is to make sure the program represents the needs and attitudes of the men being served. They plan, implement and evaluate the program. The Advisory Board makes sure the activities of the group are publicized. The recruitment of natural helpers is also the responsibility of Community Advisory Board members. Natural helpers are the core of this program. They are individuals whom other people naturally turn to for advice and support. 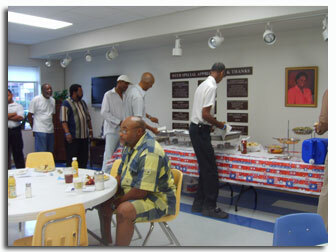 The natural helpers in the My Brother's Keeper Program are trained in prostate health. 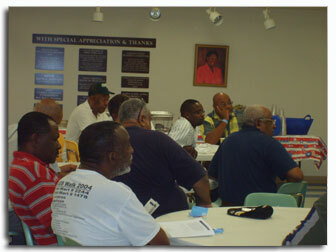 They work with men one on one and in groups, encouraging men to get a PSA test. They can also refer men to facilities where screening is available. If a man is diagnosed with prostate cancer, the natural helper is there to be a support for him through his entire treatment and for as long as he needs support. 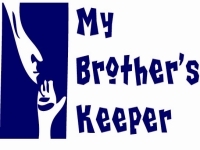 If you are interested in becoming a part of My Brother's Keeper call Rebecca Glass at 529-0753 ext. 107. Support for the My Brother's Keeper Program is provided by Ebenezer Medical Outreach, Inc.
Ebenezer Medical Outreach, Inc. 1448 10th Avenue. Please call (304)529-0753 ext. 107 for more information. My Brother's Keeper is a program of Ebenezer Medical Outreach which provides education for men of color regarding the importance of regular screenings for prostate cancer. The program uses Natural Helpers who have been trained as a resource in the community to spread the word and act as an educator for men who may have questions.